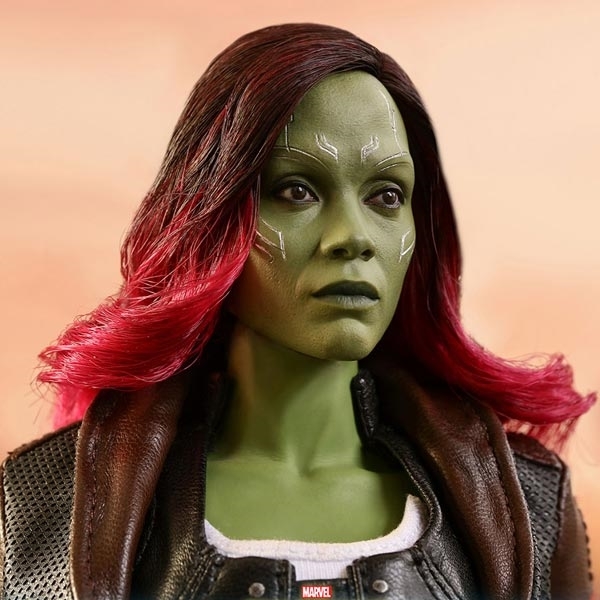 “Can we put the bickering on hold until we survive this massive space battle?” As one of the greatest warriors in the universe, Gamora is now her own person who found a purpose and a family. The most dangerous woman in the galaxy has put her skills to a better use, and fans are all excited to see her fight the Mad Titan Thanos. 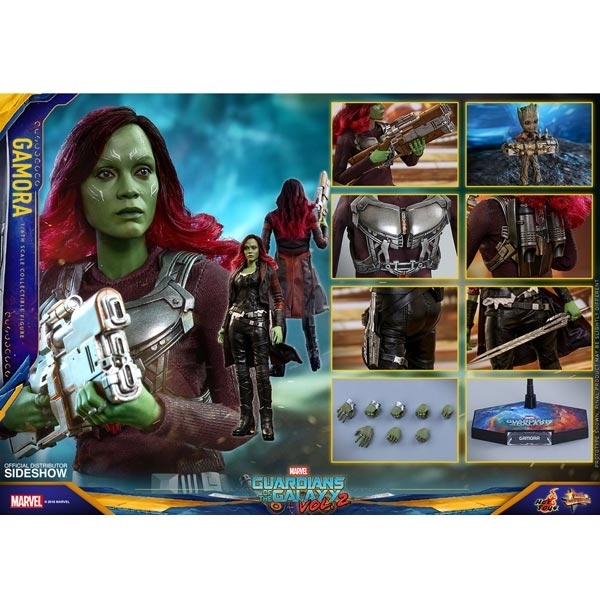 Sideshow and Hot Toys are very excited to introduce the Gamora Sixth Scale Collectible Figure which comes with an array of unique accessories from Guardians of the Galaxy Vol. 2! 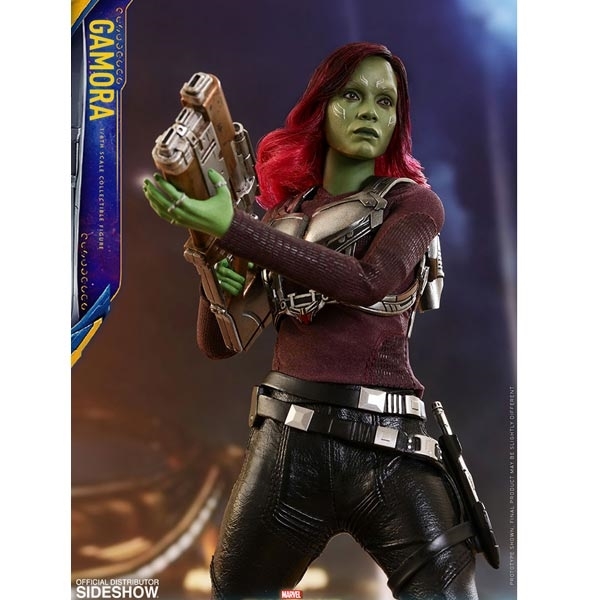 The new Gamora sixth scale collectible figure is expertly crafted based on the image of Zoe Saldana as Gamora in the film. 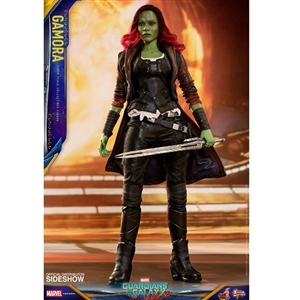 The figure features a newly developed head sculpt with long curly black and purplish-red real fabric hair, a finely detailed costume including a meticulously tailored leather-like coat. 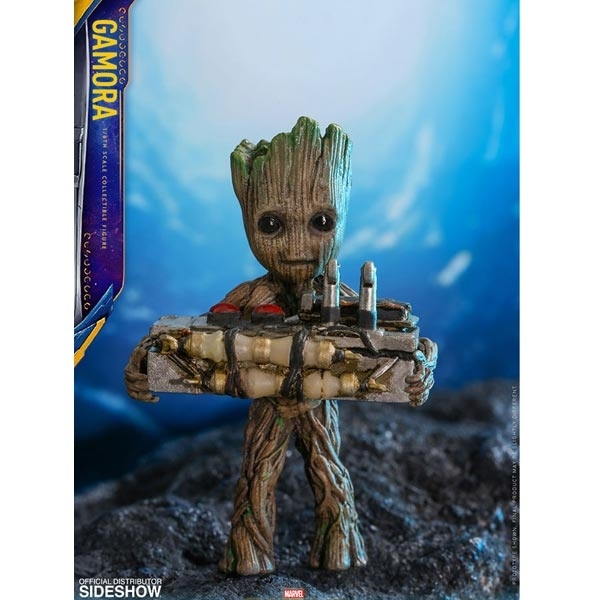 This collectible also comes with a sword, a folded up sword, a blaster, an interchangeable long sleeve tee, an Aero Rigs armored with a chest plate, a miniature Baby Groot holding a bomb and a movie-themed figure stand!